Foundation for Support of Culture is organizing in the beautiful city of Vienna. Austria is an important international music centre – home of famous musicians, artists, and composers. 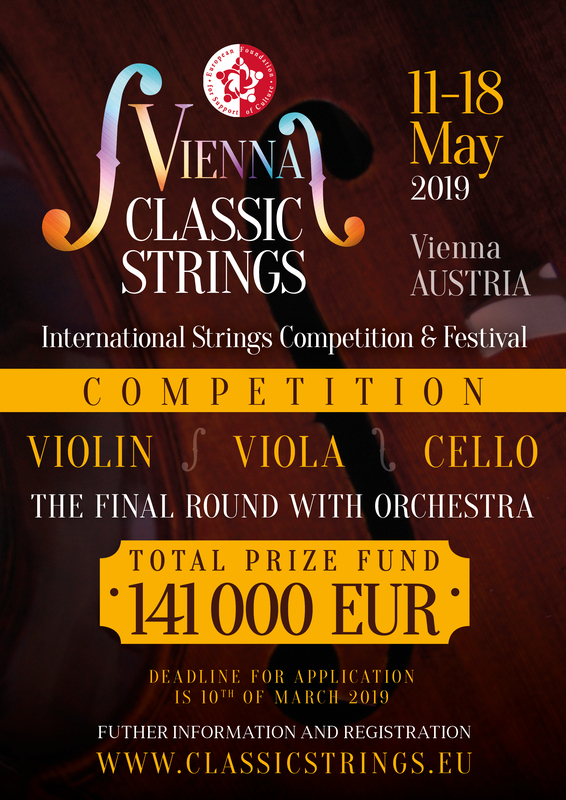 The Festival will feature internationally renowned artists who will perform various concerts in Vienna and Salzburg, the capitals of classical music. Following up on the traits of Valletta 2018 European Capital of Culture, we are very happy to announce that in the Final Round of the competition the compulsory composition will be by the well-known contemporary Maltese composer Alexey Shor. We will be looking forward to host participants from all over the world who will participate in our international competition which will be adjudicated by a panel of international personalities. The mission of the European Foundation for Support of Culture through the presentation of this Festival is to re-discover, promote, support and document the great masters for string instruments while providing audiences with a unique musical experience; to build the audiences of the future to help ensure the very existence of classical music.